Our time in the car has become a chaotic mix of technology experiences, and until now that has meant a ride filled with “tech audio clutter”: personal tablets playing movies in one seat, Bluetooth phone calls in another, and navigation prompts interrupting our music. Individual Sound Zones (ISZ) by HARMAN is an integrated audio entertainment solution that gives every passenger the freedom to choose his or her own audio entertainment while maintaining a harmonious in-cabin experience for everybody. Individual Sound Zones (ISZ) is best explained with a “before-and-now scenario”. It used to be that a vehicle was a sanctuary, a place where you could escape to hear your favorite music while driving the open road without any other distractions. However, passenger audio choices were limited; “driver’s choice” always reigned when it came to what music was listened to during the drive. HARMAN’s ISZ solution is about to change that. Vehicles are still the place where people listen to music the most. HARMAN audio technologies like QuantumLogic© Surround can literally put you in the center of the music. However, other technologies like navigation prompts, cell phones, and mobile tablets are creating a chaotic in-cabin experience that impedes your once-peaceful listening environment. ISZ integrates the personal audio needs of each passenger while managing the sonic harmony of the overall vehicle cabin. Individual Sound Zones (ISZ) is intended to create individual listening zones for each passenger, enabling passengers to personalize their own audio experiences with limited disruption or interference from other vehicle occupants. HARMAN’s ISZ is the ultimate car audio upgrade – the introduction of virtual, simultaneous, in-car entertainment systems. It is liberating and empowering, as it gives each passenger complete control over their listening preferences.  HARMAN utilizes a new approach to create independent listening zones for each seat within a car. Signal-processing software produces directional sound fields and optimizes the audio signals used to activate each of the speakers. Sometimes, more is more! 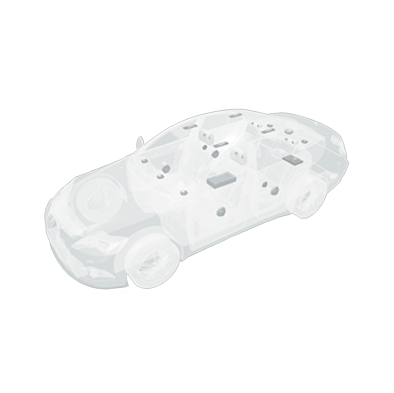 Our exhaustive simulations highlighted the fact that standard car audio speakers are able to achieve good control of the wave field, but only at low frequencies due to the modal characteristics of the car interior. To achieve personal listening zones over a broader audio bandwidth, it is necessary to introduce additional speakers positioned in closer proximity to the occupants’ heads. This has been achieved by positioning two small but powerful speakers with micro-speaker technology at each headrest. The active system comprises the headrest speakers and standard car audio speakers to enable modification of the wave field as desired via a specially designed ISZ filter matrix. In addition, our patent-pending directional EDPL headliner speakers, which form a passive system, can cover the majority of the spectral audio range. The conclusion is that a complete system with system, headrest and directional speakers is preferable, as it provides highly satisfactory CTC (Cross Talk Cancellation) covering the entire audio frequency band.